Spring is on its way in, and that means deck weather! With longer days and more sunshine in your future, you’re going to want to be outdoors. Now’s the time to start looking ahead at having your dream deck built. Though it seems simple, building a deck requires some skill and professional know how. So, before you pull out the hammer and nails, you should consider looking at deck contractors in your area. To hire the right contractor, learn about pricing and the deck building process. Here’s what you need to know. You can start with some online research. A local Google search can help you identify contractors in your area. But, that’s only the beginning of your search. There’s a lot more to consider before you hire someone to build your deck. Like skills and experience with building decks. Contractors are not one size fits all. Ask the questions that matter to sort them out. To ask the right questions, you need to understand the deck building process. The steps include getting permits, pouring footings, building, and sealing it. A deck contractor should be able to help you make choices and a plan that works. Find out if your contractor has experience pulling local permits. It’s part of the service they should provide when building your deck. 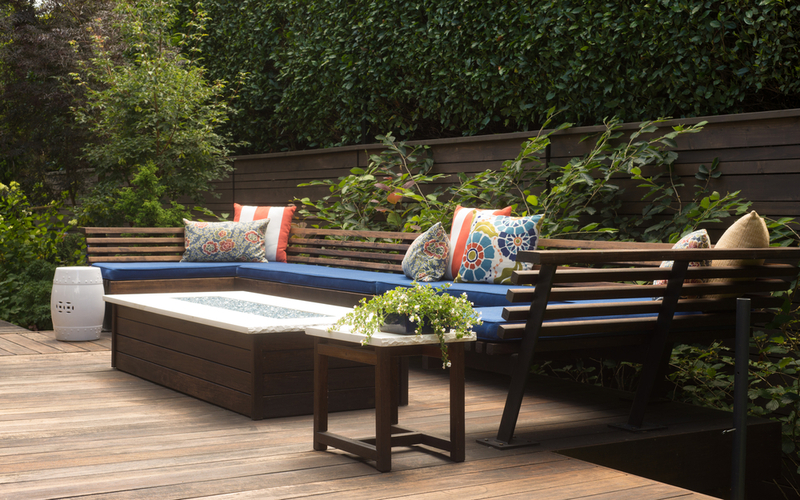 Ask about the planning and design process of building your deck. They should provide choices of materials, sizing, and placement of your deck. Your contractor should help sort through the options. Ask to look at samples of decking and roofing materials. See if your contractor can provide pictures of previous deck projects, too. Understand that construction is disruptive to your life, even when it’s happening outside. Find out how long construction will last. To do it right, you should interview at least 3 deck contractors. That way, when you start talking about pricing, you know how they compare. Things that affect pricing are the size of the deck, the materials, and the time it takes to build it. Also, any additions to your deck can increase the price. Extras like porch swings, electrical work, lighting, and ceiling fans add to the cost. In general, an average 200-500 square foot deck might cost around $7,000. You can estimate $35 per square foot to get a ballpark figure for comparisons. Keep in mind that better quality materials can make this cost much higher. Working on a difficult terrain can increase labor costs, too. Don’t forget that you can ask friends and family for recommendations. Often, this is the best way to find a reliable contractor to build your deck. Read reviews online to see how they stack up with previous customers, too! Lock in Your Deck Contractor, Today! Spring is the start of the busy season for deck contractors. So, don’t wait! Take the time to do your research. Then, hire your deck contractor today! Looking for a contractor in the Willamette Valley? We’d love to hear from you. Contact us for a free estimate! Ask the Pros: Can You Paint Vinyl Siding? If your exterior vinyl on your home is wearing, you may think it’s time to replace it. Otherwise, you’re probably wondering, can you paint vinyl siding? The answer is, YES, you can! Of course, you should check your warranty before replacing or painting your vinyl to be sure you are complying with any stipulations. Your warranty company may even be able to provide helpful information such as what type of paint and color to use. If you’re tired of your vinyl siding and want a fresh new look, you’re in the right place. In this article, we’re discussing why to paint your siding and how to do it right. Keep reading to learn more. Many homeowners are unaware that vinyl siding can be painted successfully. But, with the right paint, you can give your home a makeover in a matter of days. Take a look at some of these benefits of painting your vinyl siding and then we’ll talk about how it’s done. 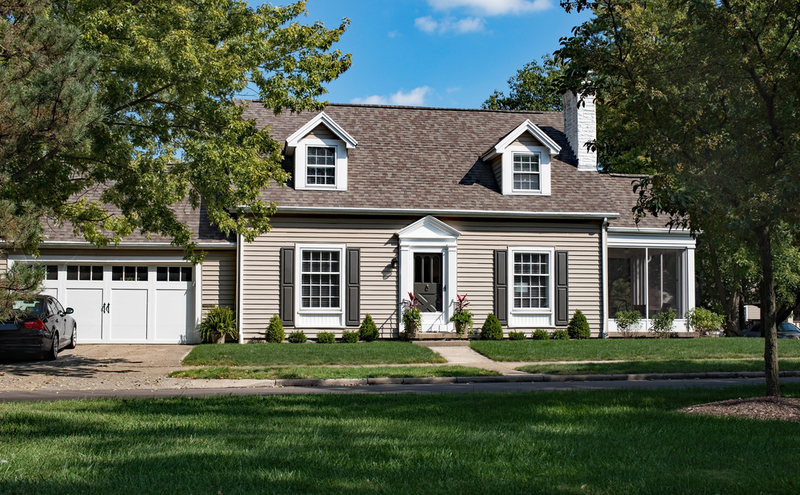 Not only does repainting your vinyl siding protect it from the elements but it also gives your home a fresh new look, which is great for curb appeal. You may even enhance the value of your home. Exterior painting is a big job. There are several steps involved in painting your vinyl siding if you want it to look its best. Take your time but make sure you select days that are not rainy or humid as this will affect the paint. You can wash your siding with a pressure washer or do it by hand with water and a scrub brush. When power washing, make sure to hold the nozzle facing downward. This will prevent forcing water under the siding panels. Priming is not always necessary unless you have areas of pitted or porous vinyl. If you do choose to prime, it may help your siding colors stand out more. Make sure to avoid vinyl siding colors that absorb heat like dark blues and browns. Instead, choose from a lighter color palette that is safe for vinyl. Many experts recommend Benjamin Moore Regal Select Exterior REVIVE which provides endless color choices that are sure to cover up your old, drab siding. Maintenance is just as simple as it was before you painted. Get that pressure washer out each spring and spray the grunge off for a spectacular looking home. So, the question is not can you paint vinyl siding? It’s how! Now that you know, you can get started on your project and save some big money over replacing it. Of course, painting a whole house is a big job that is best left up to the professionals. If you have questions or concerns about your upcoming vinyl paint job, feel free to contact us. We have a team dedicated to helping you get the job done right, the first time. Door Painting 101: How Do You Paint a Door? Do you watch a lot of HGTV? Do you secretly have a crush on one (or both!) of the Property Brothers? 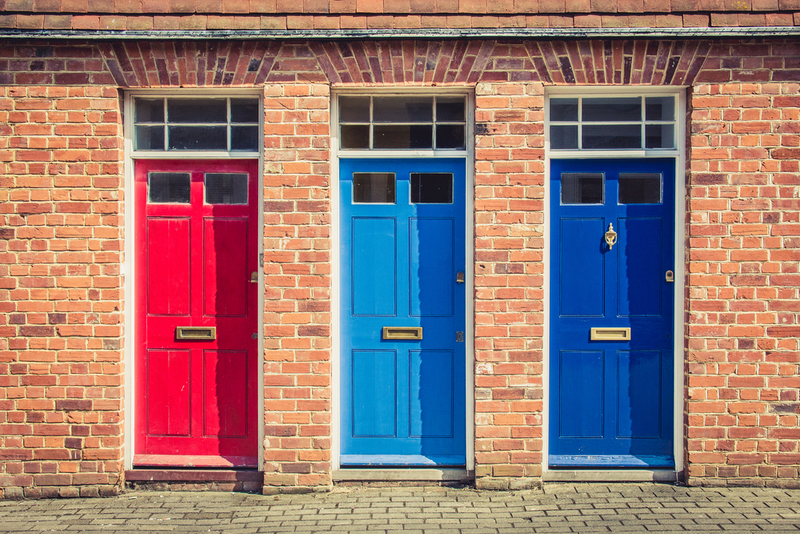 If yes to the first question (and maybe to the second) you probably know that accent front doors are in right now. But it’s not as easy as you think. Learn how do you paint a door in this guide. It would be easy to just paint the door on its hinges, right? But that’s not the right way to do it. Not only do you risk dripping on your home, but you won’t be able to get even coats when the door is vertical. You need to take the door off its hinges and lay it down on a worktable or workhorse. Take off any screws and the hardware before you do anything else. You should have a wood-only door at this point, with no accessories. Whether it’s raw wood or already painted, you’ll want to sand down the door. If the door is raw wood, you’ll want mid-grain sandpaper, like 120. If it has paint on it, look for something in the 80-100 range. You don’t have to get all traces of paint off, but you should sand until you can see the grain of the wood through the leftover paint. If it’s painted, make sure you do the sides of the door as well – these are areas that pick up a lot of dirt, as that’s where people’s fingers naturally go. When there are no more rough spots on the door or you can’t see any old paint shining through, it’s time to flip the door and do the same to the other side. If the door has a lot of wood dust and you’re working outside, you can go ahead and get a hairdryer to take the majority of the dust off. If you don’t have a hairdryer or don’t want to make that much of a mess, a shop cloth is fine. If you leave dust in the door, it’ll get into the paint and leave a gritty, textured spot. Make sure you clean off each side of the door – as the dust can stick to one side while you’re doing the other. Finally, you’re ready to paint. Give that door one more good wipedown, just for good measure. Make sure it’s somewhere that it can dry in peace, without the wind blowing dirt or leaves onto the wet surface. Wait for as long (if not longer) as the paint says it needs to dry before you flip the door. You don’t want to have one side perfect just to flip it, mess it up, and have to paint it again. You need to remount the door handle and the hinges (which you’ll do when you mount the door) and voila! You’re done. Painting a door is an easy weekend project if you have the right tools and patience for it. If you don’t – you can always call a residential painting specialist to help you with that and other color-changing house projects – both inside and outside of the house. The easiest answer to the question how do you paint a door? Let us do it for you, get in touch here. The way your business looks to customers sends a powerful message. If you want that message to be one of professionalism and success, you might need to hire a commercial painting service. Commercial painting isn’t just about adding color to your walls. It’s a living testament about the care and attention you put into your business. When clients see how much you invest in your own company, they’ll feel more confident about what you can do for them. Before you hire a commercial painting service, make sure they live up to following four standards of excellence. 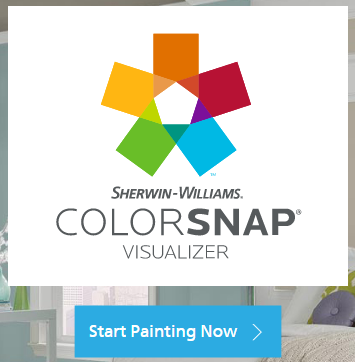 Commercial painting isn’t like residential painting. Commercial property will experience more wear and tear than a typical home and will be seen by more people. Therefore, quality is of utmost importance. Ideally, you’ll find a company with experience in commercial work. They have the techniques and tools that will make your paint job look polished and professional. Don’t be fooled by a branded vehicle and prevalent marketing. Real painting companies will have proper licenses and documentation prior to beginning work. As a business owner, it’s your responsibility to ask for proof of business insurance, bonding, or other important documents. 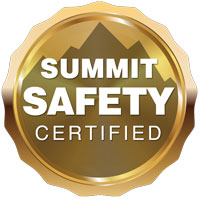 It’s not enough to take their word for it, especially if an incident occurs on your property. If they’re not insured and someone were to get hurt, you could be held liable. Companies that have insurance are invested in their own safety. Consider it proof that they care about their company as much as you care about your own. Satisfied customers build great companies, so don’t be afraid to ask for references. A reputable commercial painting service will be able to furnish strong recommendations, as well as photos of their work. Did the painting company stay on, or close, to budget? Did they arrive on time and finish the project within the expected time frame? Did they clean up after themselves and act professionally during the project? You may be able to add to this list, but the goal is to hit on points that are most important to you. In addition, you can read online reviews to see what others are saying about their experiences. No business wants to spend more than they need to on painting. No matter how tightly you’re controlling costs, you’re better off getting the job in writing before any work begins. The contract should spell out the scope of the project, as well as the estimated cost. Granted, there may be times when the estimate is subject to increase, but reputable companies are likely to stay close to the agreed upon budget. When vetting a commercial painting service, think about the value you need it to deliver. Their results are a direct reflection of your company, and you want to ensure you’re putting your best foot forward. 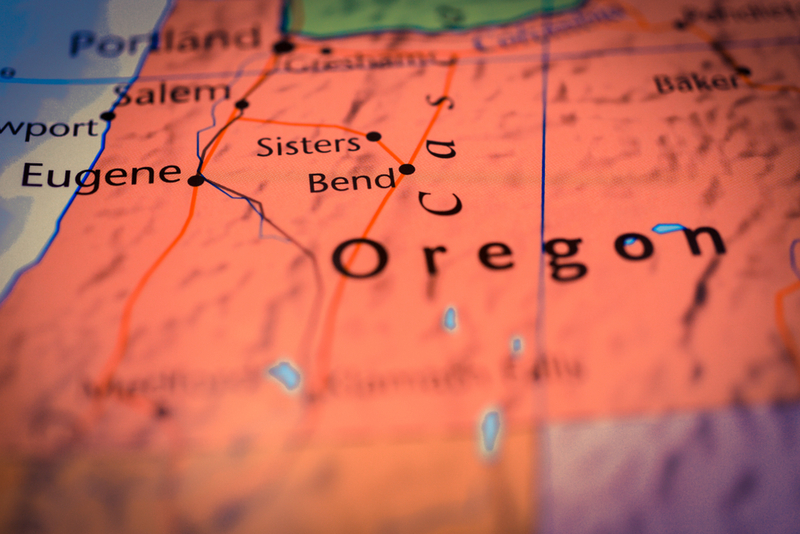 Fitzpatrick Painting has been serving Oregon businesses for over 25 years. Contact us today for a free estimate and get quality commercial painting from Oregon’s trusted experts. What is your first thought when you pull up to your home? Is it inviting and make you happy? Or do you pull up and think, “Ugh, I really need to paint/clean up/pull weeds/plant some flowers”? With summer quickly approaching, it’s time to start thinking about your house exterior and how you can improve your curb appeal. Whether you have a budget of $50 or $5000, there are plenty of house exterior projects you can take on this year to make your home the envy of your neighbors. Keep reading for 5 projects to put on your to-do list. 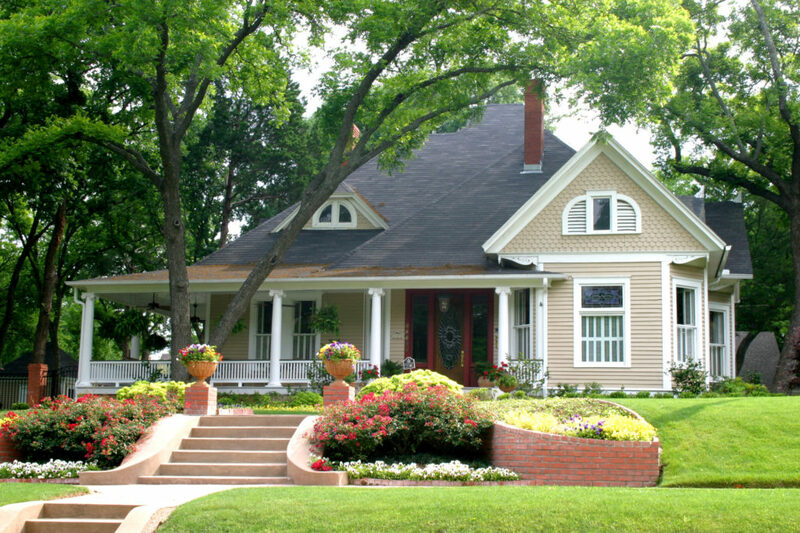 Curb appeal is usually something that homeowners become focused on when they’re about to sell their home. Don’t just wait until your going to sell to focus on it, though. Curb appeal is important all the time. It gives you the ability to enjoy a clean and attractive yard and it also will foster a better relationship with your neighbors (or inspire them to up their own home’s curb appeal). Yard clean-up is necessary a few times a year. Pull weeds, trim trees and bushes, refresh mulch or stones, clean out any leaves or sticks in your yards and landscaping, and wash or replace any outdoor items, such as lawn decorations, planters, or chairs on your porch. A thorough yard clean up doesn’t cost a lot other than your time, but it has a huge impact on how your yard looks. If you have a ladder tall enough and a power washer, cleaning your home’s exterior is something you can do on your own. For a two-story home, it might be time to call in the professionals though. If cleaning the siding or stucco doesn’t cut it, it might be time to pain. Professional exterior painting can give your home a fresh new look. The pros can paint the exterior, trim, and fix any old or rotting wood, replace missing or damaged siding, and help you pick a color. Pruning overgrown trees and bushes and refreshing your landscaping with flowers and plants is an easy and quick way to brighten up your yard. Pick plants that work well in your particular growing area and try to find some perennial plants, which will come back every year. This will save you some time and money. A simple paint job can refresh the lighting outside your home. For a bigger change, consider upgrading the lighting outside your doors or garage. Uplighting in your landscaping and path lights to line your walkway are easy, DIY lighting jobs you can do for little cost. Make sure your lawn is lush and green. Keep it raked and free of leaves and sticks, aerate it, fertilize it, water it regularly, and keep your lawn mower on the appropriate setting for the time of year. Based on where you live, there are certain things you should do for your lawn each season to keep it looking its best. Don’t ignore the curb appeal of your home until you want to sell. Make sure your house exterior is in top shape all the time so you get to enjoy it. If you find that you simply don’t have the time for exterior projects, call in the professionals. We can handle a wide variety of jobs, including painting, carpentry work, window and screen repair, and more. Contact us today for a free estimate and to see how we can help you.